Ever thought that clothing sizes aren’t quite the same as 30 or 40 years ago? I certainly have and I am not alone. We have addressed this issue in the first chapter of our book ‘Keeping Dry and Staying Warm (publication date mid 2017) because we thought it was so important. A recent article in in TIME magazine called ‘One Size fits None’ explores just that phenomenon and includes a timely video clip showing how America dress sizes have changed .since the 1950s. This is of course written for the fashion industry with a focus on women. . Standard sizing is anything but standard and clothing sizing has got a lot more generous and people have become, well larger. The same is true for outdoor sports for men and women, but it’s rather more critical because we layer up for functional purposes. Chris Townsend observed: “ it’s got a lot worse in the last 5 years, sometimes I can get garments for test where the L is smaller than a size S in another brand”. This is an extract from 1.1 Garment Size Grade and Fit which looks at how and why sizes have changed and the implications for outdoor garments. It is normal for the designer to create all prototypes and sales samples in the most frequently sold size, usually medium or large for men, 12 or 14 for women. The garment designer or pattern maker must also make assumptions as to whether the garment is worn next to the skin or if not how many other layers are assumed to be worn underneath. For a lightweight waterproof running shell that might mean a base layer and maybe a thin mid layer. A mountain jacket would assume rather more layers. 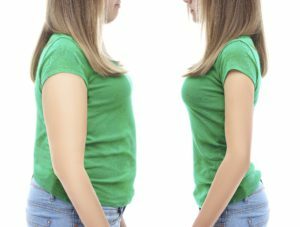 Determining exactly what is meant by ‘Medium’ has become increasingly difficult because of the changing physical height, bulk and body shape of the population around the world. And of course it is different again between the different continents and ethnic groups. Here is a link to an international size comparison chart . Surprisingly, there is also a degree of psychological flattery in the naming of the size, (aka vanity sizing!) because people don’t like to be perceived as larger than they hope they are. This has led manufacturers to shift their sizing. Research by The Economist of April 7th 2012 says; quote “the average British Size 14 pair of women’s trousers is more than four inches bigger at the waist today than they were in the 1970s and over three inches wider at the hips. A size 14 today fits like a former size 18, and a size 10 fits like an old size 14. The same “downsizing” has happened in America where, to confuse matters further, a size 10 is equivalent to a British size 12 or 14, depending on the manufacturer. see full story from the Economist, April 2012. The story starts a long way back with the influence of Marks & Spencer (in UK only). Traditionally M&S stores did not have a fitting room, but sizing of the garments and indeed of the physical population had been consistent for many years. Consequently, most people knew what size they were, didn’t they? Well not quite, an M&S size 32” waist was actually 33” or even 34”, so when people finally tried the garment on at home, they could always get into it and rarely needed to exchange it for a larger size! This applied equally to tops, of course. The Economist adds; “Studies in America and Britain have found that some brands of men’s trousers labelled “waist 36 inches”, say, are in fact up to five inches bigger. Seasonal shifts in size requirement by a sporting customer group can also occur. At the OMM 2 day mountain marathon event, which takes place late October every year since 1968, in the UK. Earlier in the year, the median size sold was M, but at the event itself median size shifted to L. The reason? During the season, sales were to the fitter competitive runners, with lean body mass, who were competing in other events, whereas during the event in late season there were many people who were really walkers with a not so lean body mass. Body size seems to be a sensitive subject,the words fatties and thinnies being ‘off limits’. An interesting, perhaps more polite way of describing these body shapes is to talk about ectomorphs (thin) and endomorphs (fat). Some brands use ‘slim’ or ‘sport’ for the lean body mass people and ‘standard or relaxed fit’ when referring to endomorphs. ‘Expedition fit’ is another option rarely offered but really useful and not related to body mass but allowing more space for additional layers, without lengthening the body, arms etc. Some brands offer up to five different fits over their whole range, although maybe only two for one garment design, but this is quite rare. Ensuring that the garment is the correct size and fit for a particular activity is vital to the performance of the individual garment, getting it wrong can be serious.